God must have cared for Ariana Grande and gives her such a perfect four-octave soprano considered as a force of nature. Although only being 23-year old, Ariana Grande has received a series of awards in music industry, such as three American Music Awards, three MTV Europe Music Awards, etc. 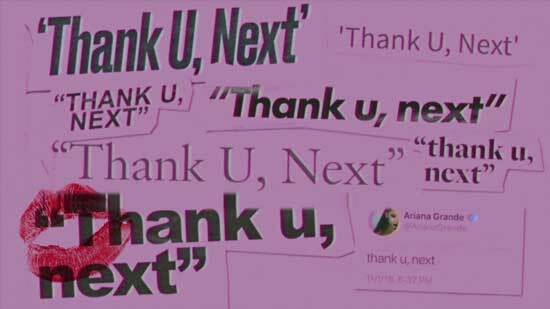 With the release of the new song, 'Thank U, Next', which is from Grande's upcoming fifth studio album of the same name, it replaces Maroon 5's 'Girls Like You' and Ariana Grande hits the No.1 for a second week on Billboard Hot 100. Not only still hitting on number one, which is the 7th week, 'Thank U, Next' but also has broken a string of records, such as the record for the most plays by a female artist in one day on Spotify. How can we miss such excellent singer and her songs! Let's focus on Ariana Grande songs download and give the detailed introduction on her all albums. Ariana Grande songs and albums are available in lots of music streaming services like Apple Music, Deezer, Spotify, Amazon Music as well as Google Play Music. But when it comes to play Ariana Grande songs offline on your portable devices and music players, it's important to note that no matter which audio source you choose, there is no way on Ariana Grande full album free download unless you charge for its subscription fee every month. Especially for Apple Music, you even can't access to Ariana Grande albums without subscribing Apple Music plan. Worse still, songs by Ariana Grande downloaded from music streaming sites are encoded in special audio formats, such as M4P in Apple Music and Ogg Vorbis in Spotify tracks, which are limited to play song tracks on selected devices. 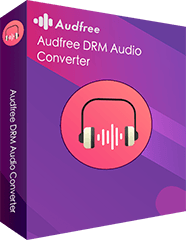 To get rid of these hassles, you will need a professional third-party music solution to download Ariana Grande albums as MP3, like AudFree DRM Audio Converter (for Apple Music users) and AudFree Spotify Music Converter (for both free and premium Spotify users). 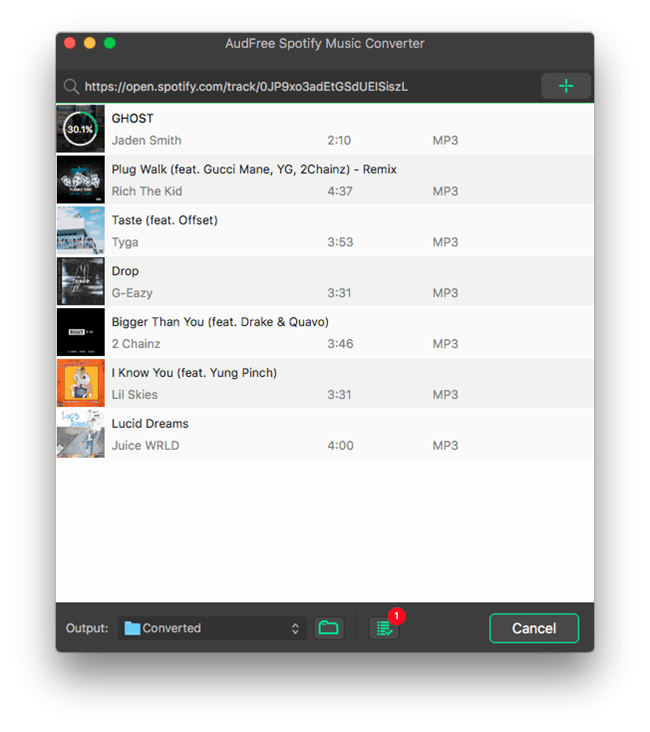 These two programs will help you download Apple Music M4P songs to MP3 and download Spotify songs and albums offline even without Spotify Premium. Encode Ariana Grande songs to MP3, WAV, FLAC, etc. 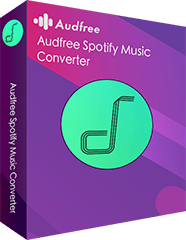 Since AudFree Spotify Music Converter is designed to download music and albums to MP3 even with free Spotify account, here, we will show you the detailed tutorial on Ariana Grande new album 2018 mp3 download from Spotify. Download Ariana Grande songs to MP3, AAC, WAV, etc. If you have received the URL of Sweetener album or other albums, you can directly paste the link to AudFree's search box and click the '+' button to load Ariana Grande songs to AudFree. Or you can drag and drop the 'Thank U, Next' or other songs to the conversion window to add them. By clicking the top menu bar > 'Preferences' > 'Convert' option to launch the setting window, and then you can set output format as MP3. If necessary, you can also define output format as FLAC, WAV, AAC, M4A and M4B as you like. With free Spotify account, you'd better to adjust the bit rate as 320 kbps to get better listening experience. 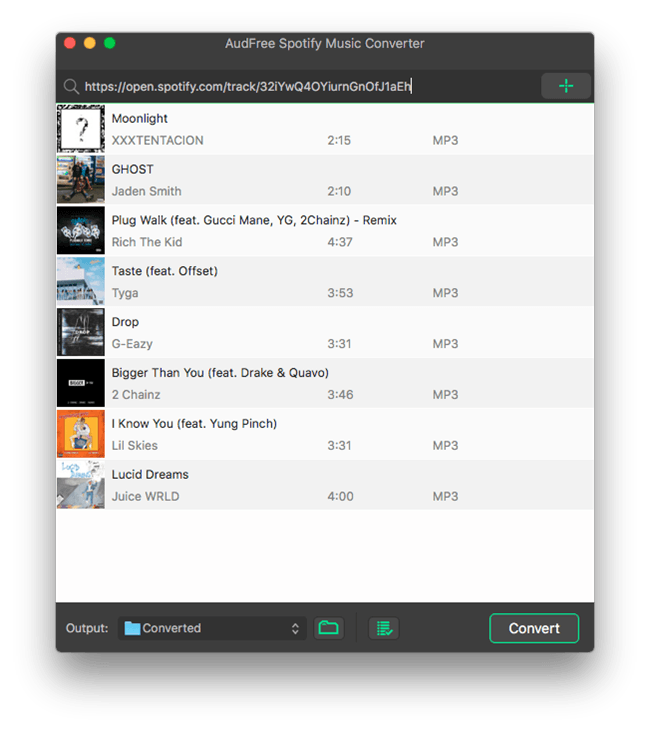 Simply press the 'Convert' button at the bottom-right corner of the conversion window and then AudFree Spotify Music Converter will start downloading Ariana Grand songs offline and converting them to MP3 audio files so that you can transfer them to any device for offline playback. Once done, you can locate Ariana Grande MP3 songs on the destination folder. Tips: If you are using Apple Music to enjoy music entertainment, you can follow this tutorial to get Ariana Grande songs mp3 download: How to Convert Apple Music M4P to MP3. If you are using other music streaming services, you can record Ariana Grande albums as MP3 with our professional audio capture. And you can find out the complete guide in this source page: Record Tips. Now, you can listen to favorite songs and albums by Ariana Grande on all devices anywhere and anytime. 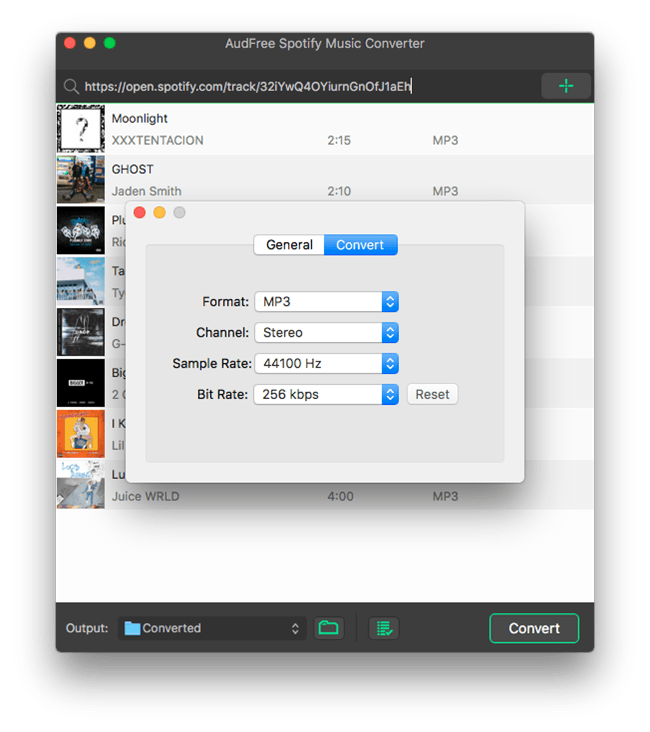 You can follow this video demo to learn how to use AudFree Spotify Music Downloader to download and convert 'Thank U, Next' as MP3 for better playback. With a large following on social media, Ariana Grande didn't start from the music career but worked as an actress and dedicated her voice to animated television and films. Until to 2011, she began her music career with the soundtrack music from Victorious. After then, she has released four albums one after another, which all achieved huge success. Let's detailly review four Ariana Grande's albums one by one. As the first album of Ariana Grande released by Republic Records on September 3, 2013, Yours Truly has debuted on number one on US Billboard 200 selling 138,000 copies in first week. According to Grande herself, this album's first half is a 'throwback' to the 'R&B music of the 1990s and the last half is completely original. When it comes to Ariana Grande Yours Truly songs, there are three singles in this album, respectively 'The Way' featuring Mac Miller, 'Baby I' as well as 'Right There' featuring Big Sean. Different from the first studio album, this 'My Everything' album explores more mature themes and genres. Upon its release, it was on No.1 on Billboard 200 with 169,000 selling copies in its opening week. 'Problem' was the lead single and finally peaked at No.2 on the Billboard Hot 100, while the second single 'Break Free' featuring Zedd on No.4, 'Love Me Harder' featuring The Weeknd on No.7 and 'One Last Time' on No.13. In her third studio album, Dangerous Woman, Grande graduated to womanly writhing. This album is mainly focusing on pop and R&B music with influences of dance-pop, trap, disco, house and reggae genres. Dangerous Woman hits on number one in many countries, including UK, Australia, New Zealand, etc. Dangerous Woman', 'Into You' and 'Side to Side' are top three singles in this album you can't miss. All of them has been certified multiple platinum in the US. Ariana Grande new album 2018 is Sweetener as the fourth album, which was released on August 17, 2018. With selling 230,000 album-equivalent unites, Sweetener album peaked at No.1 on the US Billboard 200. This album features guest appearances from Missy Elliott, Pharrell Williams, and Nicki Minaj. There are three top popular singles in this album, namely 'No Tears Left to Cry', 'God Is a Woman', and 'Breathin'. You can download all Ariana Grande's songs and albums to MP3 files accoridng to the above detailed tutorial and then listen to Ariana Grande's popular tracks, like 'Thanks u, Next' on any device with ease.